And the colors are still beautiful in the Public Garden. 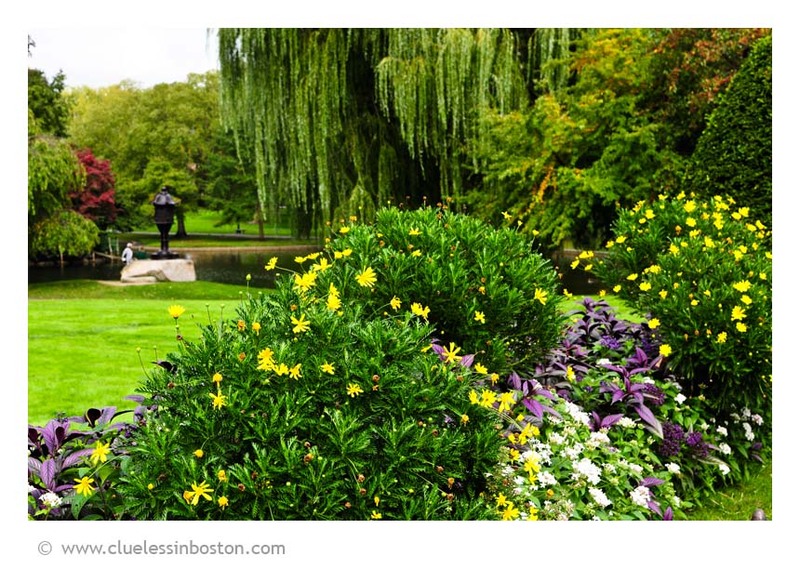 The public gardens are still in their beautiful summer dress. it seems that autumn lost its way..What a beauytyful GREEN grass! It looks like a post card! Im sorry, i posted my comment to the wrong picture! stupid me. This photo is nice in the way that it shows the quality one might have experienced when actually in the garden, and therefore serves its purpose. However it fails to stand alone as a work of art; it is not beautiful to look at. I would advise you to try and capture a specific detail of this garden, while preserving the atmosphere of the surroundings. Looks morlike summer than autumn! Beautiful flowers and grass still is so green. St. Patrick would be proud. Hard to believe it's still so green. We're starting to get some yellow and red tinges and we're a ways south from you. That's beautiful. I like the blue background on our site.